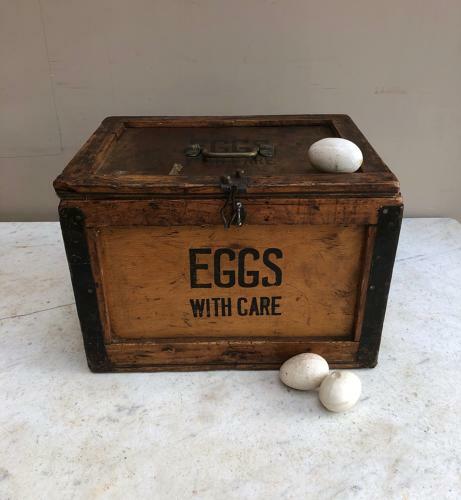 Early 20th Century c.1930s Travelling EGGS Box. Pine & Ply Construction with "EGGS WITH CARE" on the top, front & back and "EGGS" to the sides. Good condition...inners missing so it can be used as a box.